www.doorsdirect2u.co.uk is an online retailer of internal doors, external doors and windows. We are a specialist supplier of ATT Fabrications exterior PVCu doors and windows and JELD-WEN timber doors and windows, the UK’s leading internal and external door manufacturer. 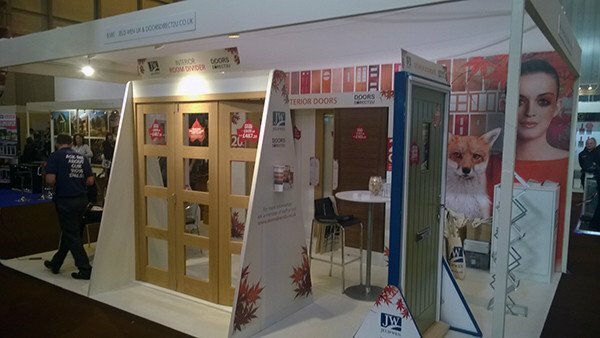 We have one of the largest ranges of JELD-WEN doors and windows available online, we also supply made to measure composite doors, timber and PVCu windows, as well as PVCu French, residential and patio doors. We like to keep things simple and hope that you find this website easy to navigate, simply select the type of door you are looking for from the menu above and start to drill down into the products. Our website is intended to offer the customer as much information as possible to make an informative decision on the product that they would like to purchase. You can purchase with confidence safe in the knowledge all products are backed with a manufacturers guarantee. With over 30 years experience we offer great service and excellent value for money, all prices include vat and free delivery to mainland UK. Our aim is to provide market-beating prices, bulk discounts are available when you purchase 3 or more doors, for larger orders please call us on 01372 940128 for a quotation. We also have special offers, exclusive discounts and voucher codes to use online, don’t forget to keep checking our website and Facebook page for our latest deals. We use a family run home delivery company who specialise in delivering doors and windows. All vehicles are manned by 2 trained professionals who will place your order in a room of your choice. They will contact you directly to confirm your delivery date and time slot, most deliveries are made within 3-5 working days. www.doorsdirect2u.co.uk is part of DIY Direct2u Limited, an online retailer of high quality Home Improvement products.